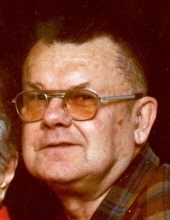 Alfred Porter White, 93, a resident of Fredonia and formerly of Wichita, passed away Tuesday, April 2, 2019. Alfred was born in Annapolis, Maryland, January 1, 1926 to William and Florence White. He went to school and graduated from Annapolis schools. He married his wife of forty years, Nelda J. White, in Wichita Kansas in June 1968 and she preceded him in death. Alfred enlisted in the Navy on December 1, 1943 and served aboard the USS Kitkun Bay, a CVE type carrier that fought in the Battle of Leyte Gulf among others. They received six Battle Stars along with the Presidential Unit Citation. He worked at Raytheon/Beechcraft as a security guard until his retirement in 1990. Alfred was an active life time member of the Wichita Gem and Mineral Society. He was also a life member of the Scottish Rite and Past Master of Constellation Lodge #95, a York Rite member with the Knight York Court of Honor, and a past Scout Master/Explorer Advisor with the Order of the Arrow and Baden Powel’s Wood Badge Beads. Survivors: Sons, Steve Smith (Fredonia) David Jordan, and Ellis Jordan. He was preceded in death by his parents, brothers Robert, Walton, George, John and wife, Nelda and daughter Martha Baca and son Bobby Green. Graveside services will be held at 2:00 p.m. Friday, April 5 at Fredonia City Cemetery. The family will receive visitors from 5 to 7 p.m., Thursday, April 4 at Wickham Family Funeral Home of Fredonia. Memorials are suggested to Fredonia Flag Fund or the Avenue of Flags and may be left or mailed to Wickham Family Funeral Home, 510 N. 7th, Fredonia, KS 66736. To send flowers or a remembrance gift to the family of Alfred P. White, please visit our Tribute Store. "Email Address" would like to share the life celebration of Alfred P. White. Click on the "link" to go to share a favorite memory or leave a condolence message for the family.